This anti-aging crème moisturizes while toning and nourishing the skin. It reduces wrinkles and fine lines linked to dehydration and enhances epidermal regeneration among damaged skin. 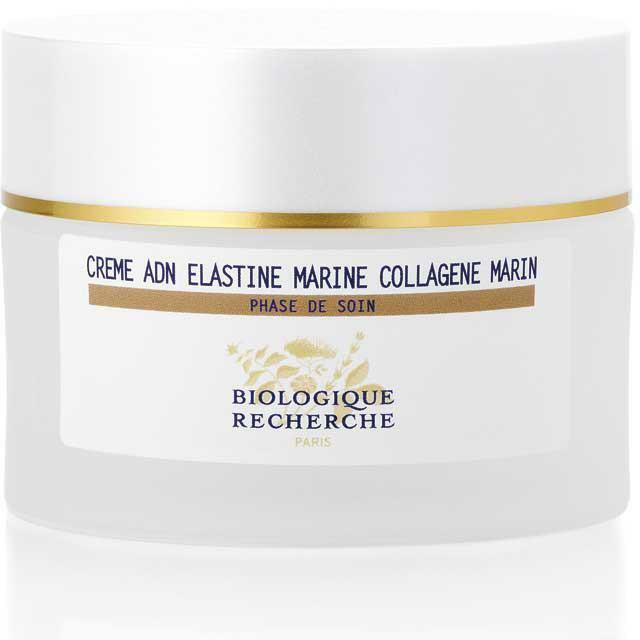 With its combination of collagen and elastin protein, it creates structure and a natural contour. It is recommended for mature and fragile skin. Apply a hazelnut-sized amount to the face, neck, and cleavage in the morning and/or evening. This complete anti-aging cream uses a subtle combination of structuring proteins (Collagen and Elastin) to makes the skin visibly firmer. Apply a hazelnut-sized amount of Crème ADN Elastine Marine Collagène Marin over all the face, neck and cleavage in the morning and/or the evening after previously using the recommended Lotion P50 and your choice of Quintessential Serums.